A short guy who goes on an adventure to fight a dragon. Because I am a geek and this is the first fantasy geek book that I was introduced to. Who would I be in this book? Bilbo, although my hobbit name is Pansy Hamwich of Buckleberry Fern. Do respond with your hobbit name once you work it out. Trolls turn to stone in sunlight. Geekiness Rating: 7 because there is at least one dragon. 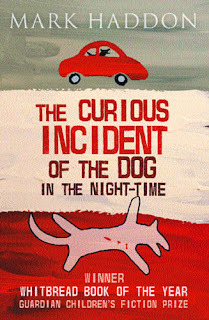 A first person narrative about an autistic boy who finds his neighbour's dog dead and investigates. Because you get a glimpse at what it would be life to be autistic and as an obsessive compulsive geek you actually understand where he is coming from. Not one of his parents. It would be too painful. Obsessing about patterns is not a good thing. Note to self: stop it. Geekiness Rating: 8 because this could have been me. 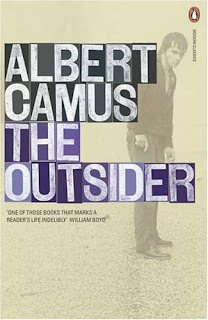 The best example of absurdist fiction with an existentialist look at good and evil as if they are just a point of view. Think Coen brother's 'The Man Who Wasn't There'. Because I think evil is whatever a person doesn't like about another person. It's also a religious way of not letting an individual take the responsibility for their actions. Meursault as long as I could also choose who I'd murder and could also blame it on the glaring sun. Some people are simply moral vacuums. Do not start fights with such people.